Love, Faith, Hope, Luck, wedding favors with the most beautiful wishes. Greek bombonieres in gold tones, made with ivory and gold tulles and decorated with this amazing gold plated four wishes ornament. They include 7 koufeta sugared almonds. Their colors can be changed upon request. 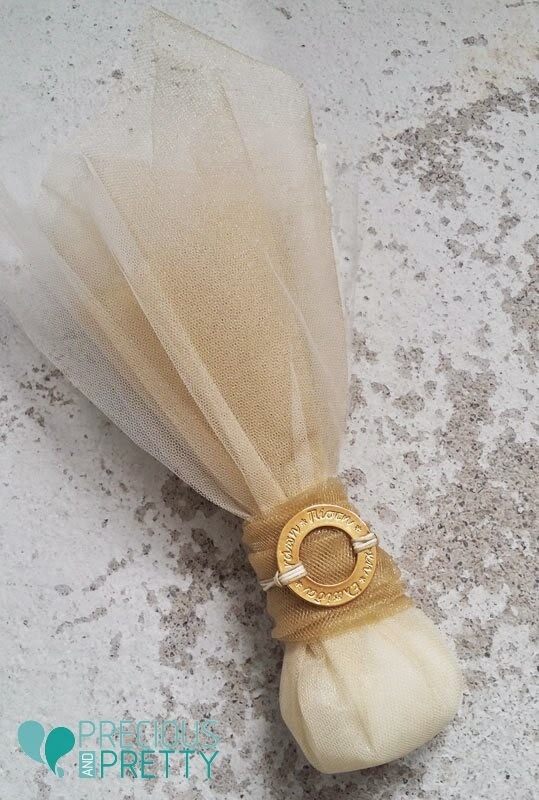 https://www.preciousandpretty.com/2015/02/greek-wedding-favors-four-wishes-g165.html Greek Wedding Favors|Orthodox Crowns|Stefana|Baptism Invitations Greek wedding favors four wishes G165 Weddding favors from Greece with four wishes ornament Product #: Greek Wedding Favors|Orthodox Crowns|Stefana|Baptism Invitations_3942026471860968140 5 stars out of 5 reviews.